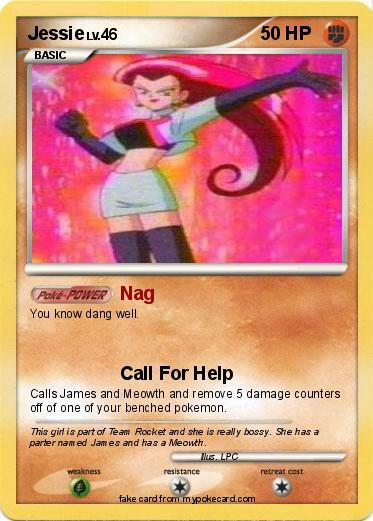 Calls James and Meowth and remove 5 damage counters off of one of your benched pokemon. Comments : This girl is part of Team Rocket and she is really bossy. She has a parter named James and has a Meowth.